“My favorite feature of the book is the ‘Bat Citizen’ feature. Author Rob Laidlaw highlights 10+ bat activists–young people who are doing something to protect and help bats in some way. This is a great feature as it not only highlights kids who are making a difference, it will also help us expand our definition of the word ‘citizen’. “The ‘bat citizens’ from the title are young people from around the world who study bats and let others know how they can help conserve them…In between the descriptions of the kids and their projects are interesting facts about bats. The center features a fold-out illustration of the anatomy of a hoary bat. The back matter includes lists of 14 ways you can help bats and organizations that help bats. Canadian Children's BookNews calls Bat Citizens: Defending the Ninjas of the Night "a must-have title for all young science and animal enthusiasts"
“Creatures of the night, bats are definitely cool. The second largest group of mammals in the world, and the only mammals capable of true flight, bats are shadowy and fascinating, a perennial favourite amongst kids. But, like so many other animals, many species of bats are threatened or endangered. 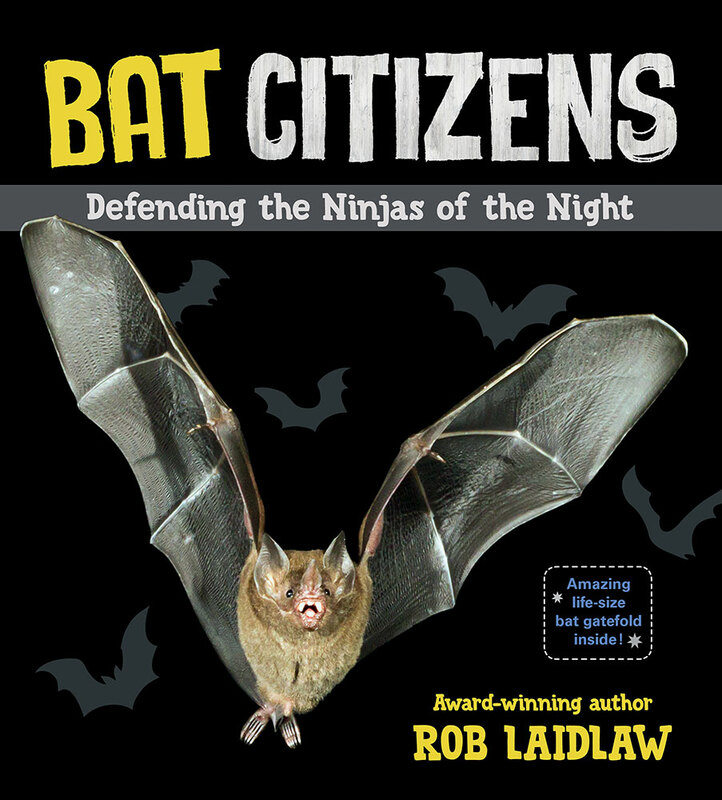 In this highly engaging and informative title, celebrated animal activist and biologist Rob Laidlaw sheds light on these ‘ninjas of the night’ and the efforts being made to save them…. “If you love bats or the kids who are protecting them, then you will love Bat Citizens. While telling you a lot about bats, this book focuses on what kids are doing to help them. On almost every alternate page, you meet a new kid who is doing something to help the world better understand bats and their habitat. I liked reading each kid’s story and was impressed with the things they are doing…. There are lots of photographs, and the book seems well researched, as it includes a lot of facts and many different kids. It would be great for a research project, but most kids won’t sit down and read it cover to cover…. Midwest Book Review calls Bat Citizens: Defending the Ninjas of the Night "an outstandingly informative and thoroughly 'kid friendly' book "
“…The Wolves Return is another book by the environmental writer/illustrator Celia Godkin….Thirteen Canadian wolves were released into Yellowstone National Park in 1995 and a further ten the following year. Enough time has now passed to fully appreciate the positive effects that the re-introduction of this one species has had on the entire ecological system. This has been a triumph of environmental science and a perfect example to cover in a book for children. The story is written in uncomplicated language and is overwhelmingly positive in both tone and presentation. The first page describes the reaction of the animals as the wolves arrive, placing this event within the normal course of life. Then the consequences are given one at a time, including the increase of biodiversity due to the return of many plants and animals that had disappeared after the wolves were extirpated many years ago. This is not a scientific description, rather an inspiring look at the results. The final pages of the book give the historical and scientific background of the story. There is enough information here that older children can embrace the story while even young children interested in the topic of wolves and conservation can go further and learn more. Together with the story, the addition of this material gives a complete portrayal of the issue. 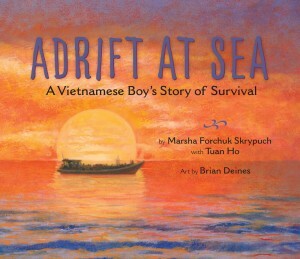 The illustrations are beautifully rendered, moving and evocative. They increase the emotional impact of the words, showing many creatures against the natural backgrounds of the park. Pictures make the connections more clear: trees have allowed birds to nest and reproduce, water plants have given insects and frogs places to live and hide. The interdependence of species is made explicit throughout the book adding depth and scope. 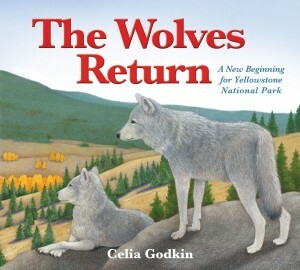 The Wolves Return is a handsome book with an uplifting environmental message, one that avoids sounding like a textbook. 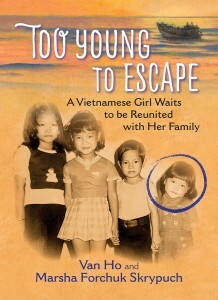 The book will be great addition to any personal, classroom or school library. It will appeal to anyone already interested in conservation and could appeal to many others with the reference to the highly dramatic wolves on the cover. While intended for those in the early grades, there is enough here to interest older readers.